An interview with StreetVet co-founder Sam Joseph giving his thoughts on how vets can be innovators. Small animal vet based in North London. Graduated from Bristol University in 2015 and previously completed an undergraduate degree in Zoology at the University of Sheffield. I have an interest in internal medicine, particularly cardiology. Outside of work I enjoy climbing, surfing and walking the dog. I started thinking about vet care for the homeless whilst at the University of Bristol and had, once or twice, been out with a stethoscope in the search for dogs to check over. It wasn’t until I moved back to London that I met Jade and we decided to develop a sustainable vet service for some of the most vulnerable pet owners in society, fuelled by the good will of the profession and the generosity of the general public. Hearing about vets and nurses that I have never met, working in cities that I’ve never been, to setting up their own StreetVet branches to help people that are hugely grateful for the care their animals have received. This always makes me feel incredibly proud of our profession as a whole as it highlights to me the genuinely caring and altruistic nature of so many vets and nurses. What exciting developments do you expect in the field during the next 10 years? Disclaimer – I have little to no knowledge on technology or innovation so please forgive my ramblings. However, I am amazed by the advancements that have been made in stem cell technology over the past few years. Scientists recently developed the first beating human heart entirely from stem cells! I also think the use of 3D printing will soon be commonplace in veterinary medicine and not just reserved for the most highlevel practitioners. Maybe through combining cutting edge stem cell developments with the precision and accuracy provided by 3D printing we might soon be offering organ transplants more regularly, especially to those end-stage CKD cats. Vets are problem solvers and we often have to work under financial constraints with one eye on the clock and the other on the client. These conditions drive us to develop innovative solutions to make things quicker, cheaper, safer and also to drive progress and advancements within the field. 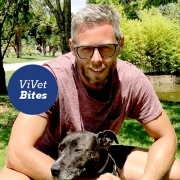 I have known many colleagues who have come up with innovative ideas to solve some of the problems they face in practice but unfortunately, vets very often lack the time (and money) it takes to turn those bright ideas into new products, apps or organisations. This was true when we started StreetVet and it took many months of hard work from a lot of people to get it off the ground. Fortunately vets are also hard working, dedicated and pretty stubborn people so we will often achieve the goals we set ourselves. What piece of advice would you give to someone setting up a practice, starting their career or wanting to launch a new idea or product? What is your vision for StreetVet and how does that fit in with conventional clinical practice? StreetVet started in early 2016 with a small team of vets trying to use their skill-set to give back to their community. However, this was not an isolated event and across the country there had been hundreds of vets and nurses wanting to do something similar for some time. The reason thatStreetVet has expanded so quickly and picked up so much momentum is that workforce of motivated, conscientious professionals has been there all along and StreetVet is just a platform to allow those individuals to volunteer their time in a safe and sustainable way. We want to continue to share our model with teams of professionals across the country so that they can continue to offer vet care to those in need. By working alongside other organisations, we think that this is a totally achievable goal. The most important thing for us when setting up in a new city is that the new team takes control and makes their branch of StreetVet their own. This will often involve teaming up with local practices who have been incredible at offering us discounted or pro-bono support. It is this sort of collaboration that I think is key for the future ofStreetVet. I hope that corporate and independent practices alike continue to recognise the value in investing in the local community, not just for the huge benefit it provides for those in need but also the positive effect it can have on staff wellbeing and job satisfaction.